A day boarding center in Bandra called Pupstop organises birthday parties for puppers and doggos. Don’t believe us? Read on, friend. 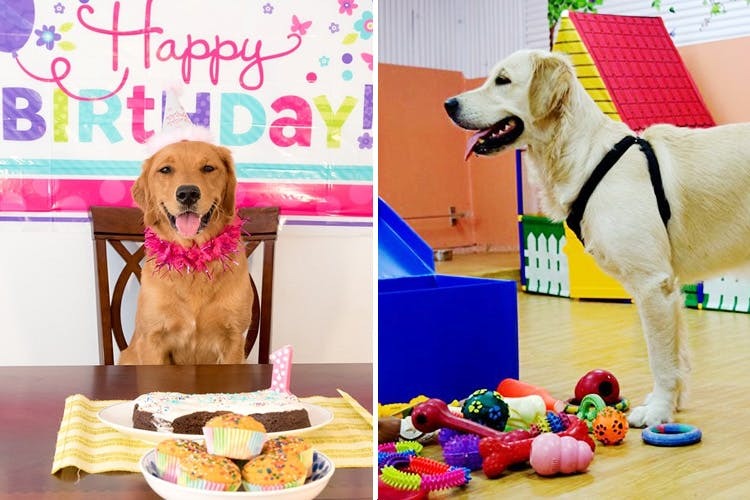 Ever thought of arranging a birthday party for your pupper? You know, a cake, treats and decorations? Pupstop, a day and night dog boarding center is making pet parents’ dreams come true. Started by Krupa Shah, a dog lover herself, Pupstop not only takes your dog in when you are out on vacation, but also takes care of their food and play time. Dog birthday parties are arranged at their centre in Bandra. Catering to all budgets, they will make sure your dog enjoys his/her special day to the fullest. They take care of the decorations, treats, cake and guests. Sure, go ahead and call the dogs your baby is friends with. If your pet is everything to you, make sure they have a fantastic birthday celebration. You can get in touch with Pupstop via call or through their Facebook page here.